Thank you Very much Jim for your help,we definitely recommend Alpharetta Sign Company. Alpharetta Sign Company offers indoor and outdoor signage, as well as vehicle wraps to clients in North Metro, GA.
Alpharetta Sign Company is a local sign company that offers high-quality, custom business signs, banners, and vehicle wraps for clients in and around North Metro, GA. We offer a specialized service to local clients that is backed by a nationwide network of independent sign companies. This allows us to provide a wide range of product to customers, while responding to our client’s needs in a timely and economical manner. Call Alpharetta Sign Company today at 770-933-2959 for your free consultation with a Signage Expert! 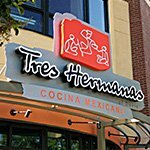 Alpharetta Sign Company understands the branding and coordination required for successful business and commercial signage. 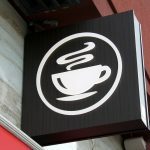 There are many options for business and commercial signage. The experienced team at Alpharetta Sign Company are dedicated to making sure your signage attracts customers and represents your brand. 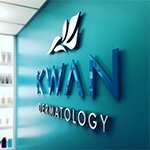 We will design and craft cohesive, professional signage for your business. We offer a full range of sign solutions, making it easy for Alpharetta Sign Company to create both tradeshow booths and vehicle wraps that reflect your brand! 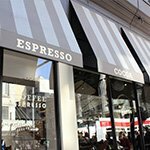 We are experienced at working with retail stores, small business owners, self-employed contractors, civic organizations, schools, and other public and private entities. As a business, we understand the needs of our business clients. 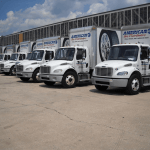 Our goal is to provide you with a professional service that is both economical and responsive to your timeframe. All sign projects begin with a free consultation, which can be scheduled by calling Alpharetta Sign Company at 770-933-2959 today! Signs That Work For You! 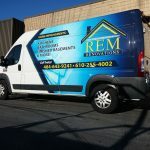 Alpharetta Sign Company offers a full catalog of indoor signs, outdoor signs, vehicle wraps, and custom sign graphics. Our clients want the most from their signs. 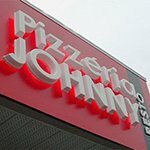 At Alpharetta Sign Company we seek to provide high-quality, professional signage that REALLY works. By that, we mean that your signs are well-designed, expertly crafted, and that they meet your project goals. 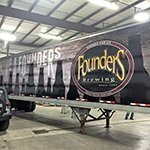 Vehicle wraps and mobile graphics, wayfinding and directional signage, vinyl murals, and tradeshow booths are some of our hardest working signs. But don’t feel limited to those sign types – we produce our signs in-house, right here in Alpharetta. That means we can customize your signs economically and usually, fairly quickly! Alpharetta Sign Company will design, craft, and professionally install your outdoor signs. We’ll even help with sign permitting! Outdoor signage is a fantastic opportunity to improve visibility and advertise your business to the community. 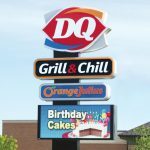 Alpharetta Sign Company is a full-service outdoor sign maker located in North Metro, GA. We offer many different types of outdoor signs including: building signs, dimensional letter signs, led signs, monument signs, digital signs, pole signs, cabinet signs, and more. 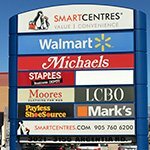 A key aspect of outdoor signage is obtaining the proper sign permit and ensuring that your sign is compliant with local codes and regulations. 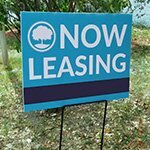 The professional team at Alpharetta Sign Company will assist you with sign permitting, and create a compliant design based on local specifications. 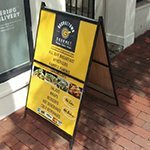 We work with many businesses in Alpharetta, and enjoy the ability to apply our sign expertise within the local community. Our outdoor sign projects start with a FREE evaluation. 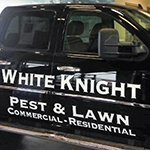 This hassle-free appointment can be scheduled today by calling Alpharetta Sign Company at 770-933-2959. 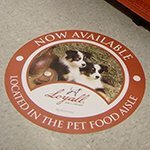 Indoor signs can take your business and turn it into a brand. Branding – you hear that word a lot these days, right? 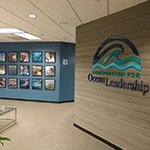 When it comes to signs, whether they are for a store or an office, ensuring that they are cohesive and blend with other in-place signage promotes the look of professionalism. 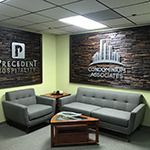 The team at Alpharetta Sign Company offers many indoor sign solutions for you, including: hanging indoor banners, trade show booths, pop-up banners, lobby signs, vinyl wall graphics, ADA signage, and wayfinding packages. Wondering how an indoor sign may benefit your business? 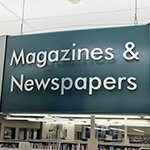 Companies and store owners employ indoor signage for a multitude of purposes. Floor graphics, for instance, are a great way to promote wayfinding initiatives or deploy corporate messaging. 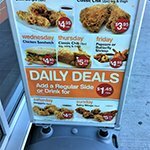 Menu boards, point of purchase signage, and promotional signs are all important pieces of food and retails stores. 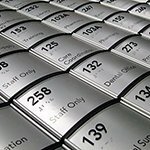 Indoor signage often provides vital information to clients, employees, and other occupants of a space. 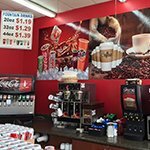 Our team of professional graphic designers are comfortable working with marketing teams or individuals to obtain necessary graphic and to coordinate the final design of your indoor sign. 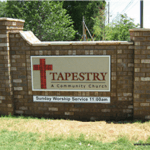 We operate in industry-standard design software that allows us to provide a mock-up of your sign before production. 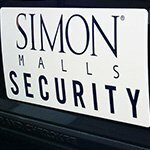 This can be especially useful for indoor sign projects, which are often designed as part of a larger or phased sign project. You can rely on Alpharetta Sign Company to handles your interior and indoor signage projects professionally and quickly! 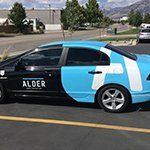 Vehicle wraps are useful for fleets, corporate cars, and even personal vehicles. Consider for a moment how often you notice a branded vehicle cruising around while you are driving. 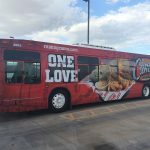 Vehicle wraps are one of the more effective forms of advertising that a business can invest in. 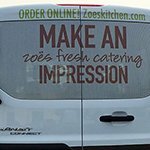 The returns on a vehicle wrap are incredible because – unlike other forms of advertising – a vehicle wrap never stops relaying your message, even while parked at lunch. 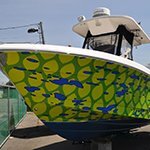 When investing in a fleet wrap or vehicle graphics, you want to be sure to work with an experienced and professional company. That’s where Alpharetta Sign Company comes in. 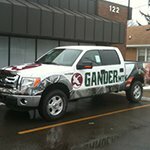 Not only do we staff a team of vehicle wrap design specialists, but we also take great care to create a high-quality and durable vehicle wrap. Our goal is to be your complete sign resource, and to that end we focus on communication and delivering on our word. With our experience and dedication to customer service, we feel confident that Alpharetta Sign Company can provide you with the best vehicle wrap experience in Alpharetta! To speak with one of our vehicle wrap specialists, call Alpharetta Sign Company at 770-933-2959 today to schedule your free consultation! 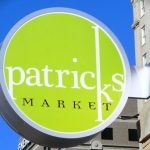 Custom signs may range from a logo or a full-color specialty sign. 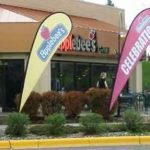 Signs deliver a strong message to your customers. 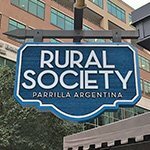 Our team understands that what your sign says, what it looks like, and even what a sign is made of will leave an impression on potential clients. 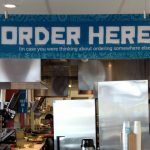 Ensure your sign says exactly what you want it to by working with the custom sign professionals at Alpharetta Sign Company! Our custom sign process begins with a free consultation that allows us to establish a clear communication channel with clients. 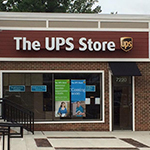 Any of our sign products can be customized, right here locally in Alpharetta. We are a full-service sign operation, and every custom sign is built from scratch in our shop. 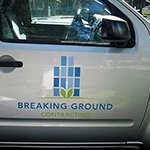 We build upon the communication blocks established at your initial consult to deliver a custom sign, wrap, or graphic that takes your business to the next level. 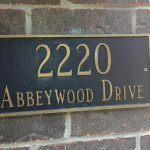 You can schedule your FREE initial consultation by contacting Alpharetta Sign Company today at 770-933-2959! We have sign making down to a fine science, explained here in four simple steps. Your initial consultation, which is offered free of charge, is an important starting point for any sign project with Alpharetta Sign Company. A signage expert will meet with you to discuss your project, answer any questions you may have, and find out important project objectives. This is an opportunity for you to talk through your ideas with our sign member, who will be happy to make recommendations to you. Our graphic design team – responsible for some incredible signs around Alpharetta- will take over your project after your initial consult. They will manage your project from design to final installation, ensuring that the objectives set forth in the consultation are met at installation. After obtaining art files from you, our designers will provide a mock-up of your sign for your approval. Once you’ve approved your sign, our sign makers will expertly craft your project. We work with state-of-the-art equipment and materials. Our sign makers work collaboratively under one roof with our graphic designers, ensuring that collaboration and adherence to project goals is achieved. 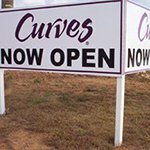 If you’ve ordered a custom sign, our manufacturing team will assist with sourcing support structures and hardware needed for your sign to be installed. When your signs are complete, a member of our installation team will contact you to schedule a time to deliver and install your sign. 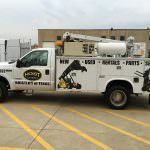 Our professionals will arrive on-site and efficiently install your sign, adding any finishing touches and cleaning up once the project is complete. We can handle any type of sign installation, including lighted and electrical signs, vinyl graphics, car wraps, monument signs, and more. The team at Alpharetta Sign Company is ready to work with you! We look forward to becoming your long-term signage provider for all of your business sign needs.